Children’s Healthcare of Atlanta knows that having a child in the hospital can be a scary and overwhelming experience. To support patients and enhance a culture of patient-centered care, Children’s looked to an innovative technological solution that would integrate patient engagement efforts across the organization and enhance the experience of patient families. 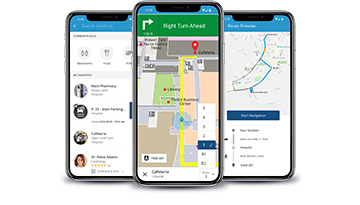 Gozio Health’s mobile wayfinding application has become instrumental in designing and delivering a personalized patient experience that takes patients from their home, to the right parking garage and on to their point of care inside Children’s facilities.